Tired of all the talk about culture? 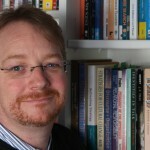 Murray Anderson-Wallace is a highly experienced healthcare professional with a background in mental health services, social psychology and organisational communications research. He works as an advisor to organisations, networks and campaigns, supporting them to tackle significant professional, ethical and social issues in more sensitive, humane and effective ways. Murray is Visiting Professor at the Health Systems Innovation Lab at London South Bank University, where he co-leads the Darzi Clinical Leadership Programme. His practice also includes work as an independent journalist and editor, producing media to stimulate debate about socio-cultural issues in complex human systems.